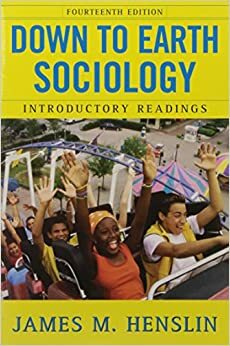 For our new Sociology teacher readers, or those looking to revamp their courses- this post will provide you with a few tips and ideas for designing your course. *Disclaimer: I teach a semester long Sociology course. 1. First, chose the units you will teach. I use my textbook for this task. 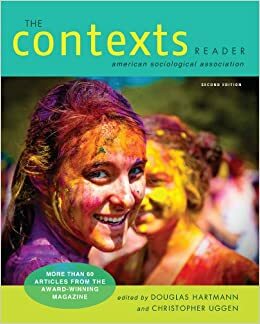 If you do not have class textbooks, I would order an exam copy from a publisher (or multiple). They are free, and will serve as a useful resource throughout this year. You can also use the ASA (American Sociological Association) Standards for this task. 2. Following, design your syllabus. Here is an AP Lang example. 3. Include your VIP classroom procedures in your syllabus. From my experience, it is crucial to include procedures and policies such as your late work policy, academic dishonesty policy, and absent work policy. (These 3 are very important) If you have your students and parents sign the syllabus, this helps to reinforce the policies throughout the duration of the course. 4. When tackling pacing, think about what you want your units to look like. Ask yourself- How will I introduce your units? Will I need to provide your students work time for a project? How will I assess them, authentic assessment or traditional test? How excited am I about this topic, and will I want extra time to engage my students in my favorite activity we did in college? In my course, I try my best to introduce each unit with an experiment or simulation. I like to stick to approximately 10 class days per unit, including assessment day. I pace my course this way so that I have all of December (for semester one) for our final project, our Sociology Capstone (I will blog about this project in the future). 5. Factor in any major projects into your pacing guide. I used to integrate a semester long research project through out the course. This year, I am revamping the project into a capstone project at the end of the semester. You may like to implement 20% time. Decide if this is something you want to include in your course. If so, schedule time for it, and include a little blurb about it in your syllabus! 6. Use resources besides your textbook! Or if you don't have a textbook, consider using these books as a resource for you! Here is a draft of my very straight forward syllabus. Kikinov, It is really great post. Thanks for this 6 great points. All points are very important. I am waiting for your next post about Sociology Capstone Project Ideas. The economic exam is really knocking at the door and I am looking for some suggestion and then i get it here. more that will give you a clear idea about the writing services. Try this. This a best way to make a good result in exam. Trust me, I'm not a good student at all. But my result wasn't bad at all. Bcoz I also try this. Discusses how and why someone may wish to begin a regular reflective practice. The greatest gift it will give you is a sense of accomplishment as you regularly progress towards building your dreams. discover more is the best one place to know about the quality writing rules. This particular https://www.nursingpaper.com/our-services/nursing-dissertation-writing-service/ the easiest way to create a great lead to examination. Believe in me personally, I am a bad college student whatsoever. However my personal outcome was not poor whatsoever. Bcoz We additionally do this. Students must understand this fact that utilizing your papers is necessary. Your syllabus shouldbe maintained in good way so look here and stay positive. This is so helpful for those of us who will be teaching high school sociology for the first time. I really like the layout of your syllabus. I noticed that you included a materials list. I also noted that one of the items on that list is: "Your own device that can access the Internet." How do you account for digital equity and equity in general when it comes to these materials. Is your school a 1:1 school where every student takes a device home? Do you explain that although that is on your list, if any student has issues getting those materials or getting access to the internet, you can help them make arrangements to resolve those issues? The reason I ask is because I too would love to have students use devices at home to conduct sociological research for projects so they are ready to use what they found in class, but I am afraid this won't be possible because I might be hired at a school with low access to technology (I'm a teaching intern). I'm also interested in what some solutions to that might be. I like numerous web journals for perusing however this blog is extremely useful for perusing and getting new information about the syntax of english. At whatever point I come here I got numerous data about english syntax. They can visit site blog encourages us to get more learning about english sentence structure. This short and excellent section is demonstrating what is beneficial for us and what we decide for our future. On the off chance that we select the beneficial thing for our http://www.gradschoolstatementofpurpose.com/how-to-write-a-statement-of-purpose-for-llm/ site future, at that point this is beneficial for us. What's more, in the event that we select terrible thing for us, at that point this isn't beneficial for us. In each nation craftsmanship is basic some may like it in view of their advantage though some are only mindful by its name. Huge numbers of the general population like to do proficient in a similar field on https://www.phdthesiswriting.biz/faq-on-phd-thesis-writers-help/ account of requesting figures and actualities. In general it is really noteworthy and rich that is instructive for me to know. As everybody understands that nobody yet preparing can reveal the enhancement for the planet. Present day guidance is rapidly ought to be lifted to the http://www.statementofpurposemba.net/letter-of-recommendation-for-mba/ age. The present period of guidance isn't adequate for the future enlightening issues. An understudy must need to take in the day by day paper to get understanding. There is an open passage for the all inclusive community to proceed with a lifted need nearness with help of science and progression in routine life. I am as a financial star incredibly upbeat and getting a charge out of the life in this glorious period where each is https://www.personalstatementwriter.com/ptcas-personal-statement associated with different enrapturing exercises since science gave us different things.